De Beers Technologies has invested in a new Stratasys Fortus 360mc professional grade 3D printer from SYS Systems. Used for both production and R&D parts at the company’s state-of-the-art facility in Berkshire, De Beers is now exploiting the benefits of the machine around the clock. 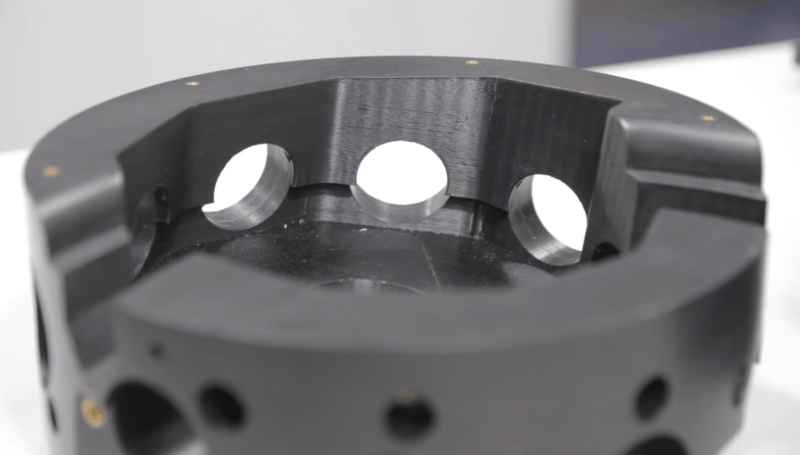 Some 3D-printed components have witnessed a four-fold reduction in cost compared with previous machining methods, which has led the company to invest in a second Stratasys machine from SYS, a Dimension 1200es. De Beers is the world leader in diamond exploration, mining, processing and retailing. To support its activities, the company maintains a diamond R&D centre in Maidenhead that is known as De Beers Technologies UK. Here, the companys engineers create automated methods for verifying and sorting diamonds, as well as machines that ensure all synthetics and treatments can be detected. The technology is used by De Beers sorting and grading operations, and those of its partner laboratories. The machines produced at De Beers Technologies UK have to provide unparalleled operating efficiency, flexibility and consistency, with a particular focus on simplifying and accelerating processes. Some of the machines are required to operate at speeds of up to eight diamonds per second to produce assortments according to size, shape, colour and clarity. Needless to say, there is no margin for error when it comes to handling precious stones such as diamonds. With this in mind, the components used to build the companys machines must demonstrate a high degree of design excellence. In recent times, the rise of 3D printing has helped the company transcend the barriers of traditional processes such as machining and casting, introducing new found levels of design freedom to the creative team at De Beers Technologies. Within a short time, the company had installed a Stratasys Fortus 360mc, which now runs virtually non-stop making either production or R&D parts. The Fortus 360mc is equipped with an extrusion head and gantry that maintains tight positional accuracy and close component tolerances. 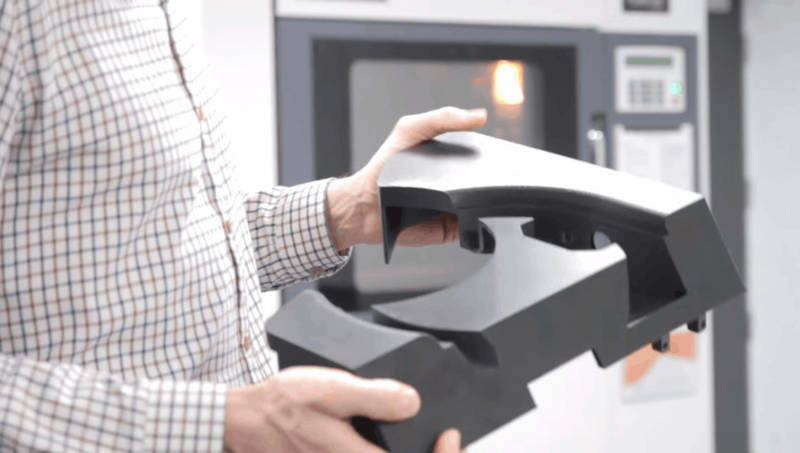 Based on the use of Stratasys proprietary FDM technology (Fused Deposition Modelling), the Fortus 360mc builds from stable, production-grade thermoplastics that continue to outperform nearly all competing technologies in accuracy, repeatability and strength. The standard build envelope is 355 x 254 x 254mm, which can be upgraded to 406 x 356 x 406mm if required. With the upgrade comes two more material canister bays, for a total of four bays (two build material and two support material). When the first material canister is empty, an auto-changeover function loads the second canister and continues the build process uninterrupted, allowing users to leave the machine unattended for long periods of time. De Beers Technologies initially approached a number of suppliers for quotes but SYS Systems was selected as it offered the best overall package with no quibbles, which provided sufficient confidence to place the order. The company says that both delivery and installation were executed quickly and professionally. A good example is a component called an optical measurement cell housing, which has an external diameter of around 250mm and contains a number of complex features. As a result of De Beers success with its Stratasys Fortus 360mc, the company has now ventured down the route of investing in a second Stratasys machine, this time a Dimension 1200es. The thinking is that, along with alleviating some of the capacity demands on the Fortus, the new machine will also introduce the flexibility of different material types, as well as different colours. The Dimension 1200es features the largest build envelope (254 x 254 x 305mm) available in the Stratasys Design Series Performance range. Again powered by FDM technology, it prints in nine colours of real ABSplus thermoplastic. Furthermore, it lets users choose fine resolution or faster printing, with layer thicknesses of 0.254 or 0.33mm. Initially, De Beers estimated a payback period of three years for its investment in the Stratasys Fortus 360mc. However, according to Mr Poulter, it became apparent that the company actually achieved payback within an impressively short 12 months. From a supplier perspective, the company says it has encountered no problems whatsoever with SYS. “SYS have always been very responsive to any of our requests or queries and, as a result, we have been very happy with the support provided” concludes Mr Poulter.